Well two days in a row and my internet has been intermittent. Sorry for my later than normal posts but hopefully we are back up and running and in the clear. I cannot get enough of these two lovely prints mixed together. 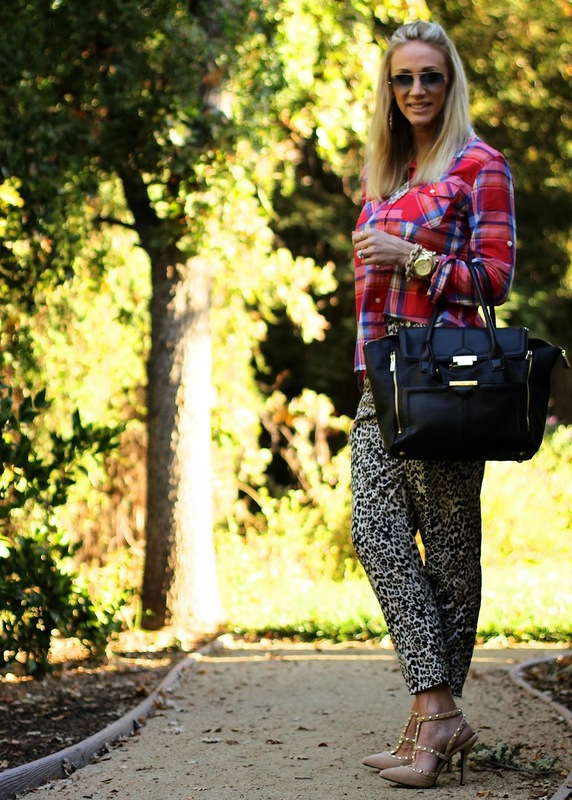 does it get any better than plaid and leopard? And studded pumps? Heaven. I walked out the other day and told my hubs "I wish I could wear heels to work everyday" as I am obsessed with these shoes! That's OK, they are perfect for after work events. Are you still mixing prints? Or thinking about it? If you're a mixer which prints are you combining? Love the bold mixed prints! Go you! And your shoes are so chic and fabulous! love the plaid shirt. 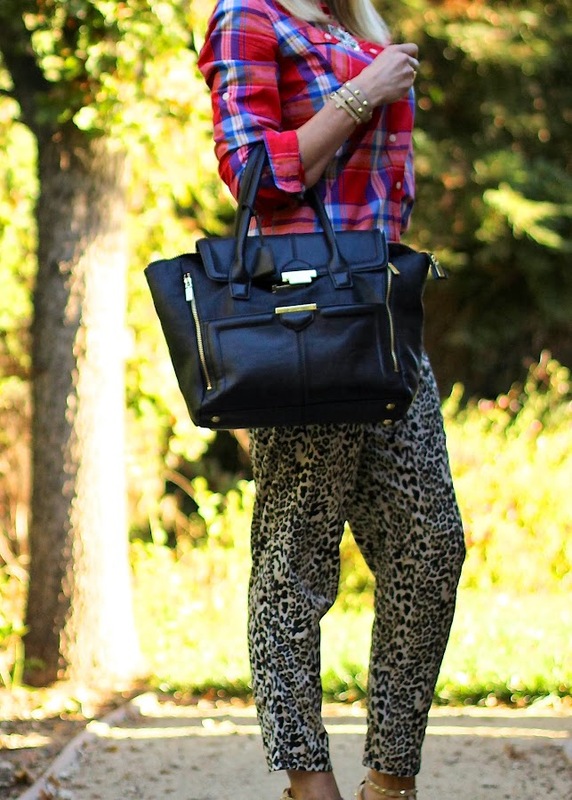 I have been totally obessed with plaid lately, but you are totally rocking this outfit. Gorgeous!!! I am loving the combination of prints. 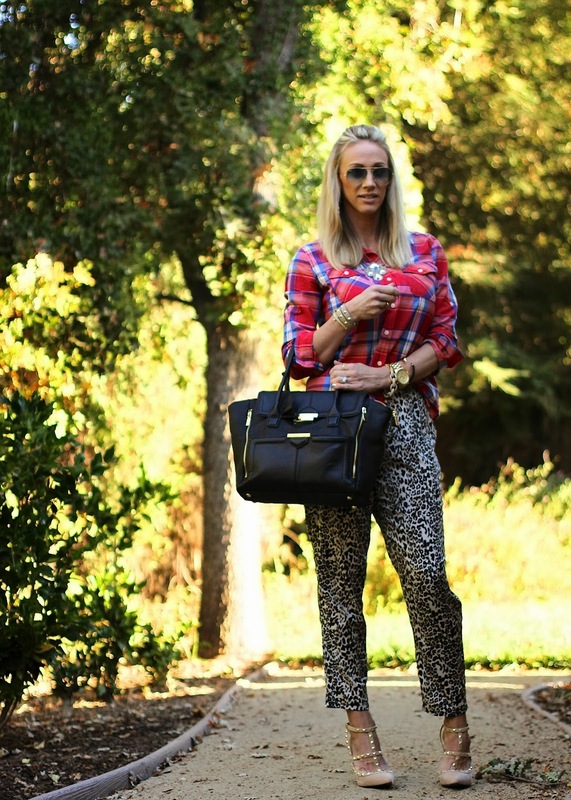 Those leopard pants look amazing and so do the shoes. PERFECT! I love mixing prints but haven't gone as bold as you have here.. you look fantastic! !